The yarn, fiber and wooly goodness is taking over my house! I've been getting ready for CRAFT ATTACK, a craft show held in Charlotte, NC, this weekend. It's only second craft show and I am overwhelmed and overexcited and swirling around trying to get ready in time. My mom and I are leaving Friday to take the scenic route, through Boone and Blowing Rock (3 yarn stores, right near a great coffee shop). I met a few of the CRAFT ATTACK organizers at my last craft show and have since been Twittering with them. They've planned an excellent show that will have over 80 vendors in the lovely Independance park. As I work on creating, I add the “show stock” to my inventory list, just so I can know what I'm bringing, what sells and what doesn't. This is also an excellent way of figuring out what the “value” is of what you're selling. If you don't bring $2000 worth of stock, you certainly can't expect to make that much! I find this helps me have a much more realistic view of what I could potentially expect from a show. Labels – When adding those items to your inventory, this is a fantastic time to label them! I believe EVERY item should be clearly priced, so customers don't feel shy about asking the price. I print out my labels, on recycled paper and make little hangtag ‘books”. I fit 3 tags/sheet of paper and then fold them in half. The front has my logo, the back has my “story” and the inside left is printed with info about the fiber (so I have different labels for local wool, banana fiber, etc – each explains what makes these fibers eco-friendly). I then handwrite the yarn’s info on the inside right (name, yardage, weight, etc). It’s a much easier process when I do it once a week…instead of waiting until the night before the show! Displays – there are lots of great examples of displays on this flickr group . You want depth, height and movement. I use baskets on tables, a 3 tiered basket thing (it’s about 5 ft tall) and a hanging sweater thing (made for folded sweaters hanging in your closet). I also have lots of clear glass jars (like at candy stores) with a pop of bright fiber. People like to feel up yarn, so I try not to pile anything up (or else they can’t get to what’s at the bottom).For my sign, I sewed a simple rectangle that folds over a dowel (or can be used as a table cloth), the bottom half is the actual “sign”. I cut out and sewed on my name (in the font from my logo) with my logo next to it (overlapping rings) in both fabric and handstitched yarn (ok, so far the yarn hasn't worked so well, so I'm still experimenting). It’s super bright and I love it! Pictures to come after this weekend.Oh, and tablecloths! Cover each table all the way to the ground so that you can store stuff under them! As for the tables themselves, I like a rectangle table for the back of the booth (with business cards, newsletter sign-up and my cashbox on it) and a round table near the front of the booth.Because so few people have actually seen yarn being created, I bring my wheel and spin. This is really a major part of the “display”, so I have to make sure I have room with it (and that I bring plenty of fiber to spin. It draws people in, and I can talk and spin at the same time (I have a little explanation I do about how the wheel works, if they look interested and start asking questions). But once they start to look at the yarn, I stand up to talk to them. If your craft is small and fiddly (I’m thinking earrings), you’ll probably turn people off by being focused on something they can’t see. Knitting and crochet is similar…is it interesting or do you look bored? It’s a fine line! Marketing – I bring so many business cards I think I'll never give them all out. And yet I do. Bring all you have! And pens! I also have my newsletter signup sheet on a clipboard. The wind was really blowing it around last time, so I tied a length of yarn around the whole thing with solved the problem perfectly! I offer 10% off to anyone who signs up and if you’re already on my list (and you tell me that!) you get 10% off. This time I'll have a little bowl full of giveaways (and something to hand kids who try to touch everything else) – felted baubles, tiny bits of yarn, etc) and stickers. I'm still trying to figure out a way to tag the little free balls of yarn, so that they remind the customer of my business, but they're too round to tie a business card to. I don't want to put them in a little bag, because then you can't feel them! Any suggestions?Also be prepared to answer the “Can you make this in ***” question. Know how long it would take you and how you’ll handle payment for a custom order. If you don’t want to do custom, come up with a nice way of saying no, so you’re not taken by surprise in the moment. Packing the car – Obviously you need your stock, your tent, table, display units and cashbox. As for what else, this is the most comprehensive list I've ever found! What do you do to get ready for a show? Will you be at CRAFT ATTACK? If so, let me know! If you’ve been thinking about doing craft shows or you’ve been wanting to them better, check out my How to Rock The Craft Show class! I work with makers and artists to create sustainable, lovable businesses. We do that through my books, the weekly podcast, online classes, and in-person workshops around the world. 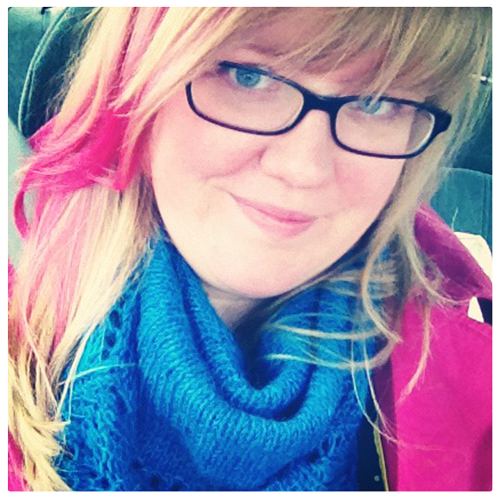 I’m Tara Swiger, and I'm a pink-haired author, maker and Starship Captain. (Read about the Starship thing here.) I believe that your enthusiasm is the best business adviser and that an exploration is the answer. I provide tools to guide your exploration including books, courses, podcasts, and essential oils. Together we discover what you really want, craft a plan to get it, and build a sustainable business around your enthusiasm. Are you a Starship Captain? Right this way!